The All-in-One system combines back-office delivery planning, a proof-of-delivery app for drivers, defect management and real-time tracking of tractor units and trailers. From its state of the art factory in Barnoldswick, the Silentnight Group manufactures over 500,000 beds per year and delivers to the UK’s leading furniture retailers, direct to consumers and to a network of independent stores. The company has taken a holistic approach to innovation right across the customer journey, from the science of sleep and advanced manufacturing processes to constantly improving customer service and the quality of its delivery offering. Silentnight identified the opportunity to enhance the delivery experience for both the independent retailer and the home-delivery customer. The upgrade to the full BigChange platform is introducing a paperless delivery revolution at Silentnight and is replacing paper-based manifests and delivery notes. This is being rolled out to all customers across the next 12 months. Drivers are being equipped with the latest Samsung tablets that manage receipt of delivery instructions, electronic proof of delivery with photo capture, timesheets, electronic start-of-day vehicle walkaround checks and a daily driver debrief. On the day of delivery, independent retailers or home-delivery customers will receive an automated estimated time of arrival text message alert, allowing them to ensure they are ready to take receipt of goods. Inbuilt telematics, integrated with the vehicle tachograph captures detailed insight on driver behaviour, including metrics on speeding, harsh braking and cornering. 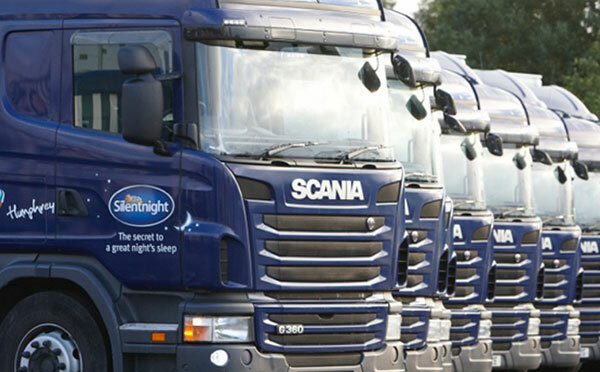 Silentnight rewards drivers with a bonus twice a year to recognise their efforts to reduce fuel use, improve safety and cut carbon emissions. Since the technology was implemented in July 2013, the BigChange system has cut carbon emissions dramatically by over 1 million KG of CO2 and is saving Silentnight over 100,000 litres of diesel annually. Fuel economy has improved by 12% from 9.9mpg to 11.2mpg. The BigChange driver app automatically navigates drivers from drop-to-drop and ensures the correct items are scanned and delivered at each drop, taking into account any special customer requirements. Customers ‘sign on glass’ to complete their delivery, and photos can be instantly captured in the event of a customer query. Progress against the plan and proof of service is instantly relayed to the back office, giving the logistics team live visibility of the operation. Together with the proactive text alerts, this has reduced the number of calls to the customer service centre.